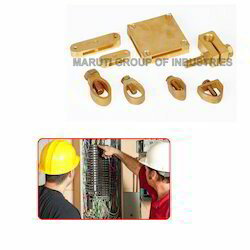 Pioneers in the industry, we offer earthing accessories for electrical industry from India. Leveraging on our industrious workforce we are offering Earthing Accessories for Electrical Industry to the customers. Our brass earthing accessories are manufactured from utmost quality raw material that makes them highly demanded in the market. Looking for Earthing Accessories for Electrical Industry ?